There is something magical about how a pendulum moves, even though it’s path is entirely scientific. A pendulum moves in a predictable pattern determined by several factors, including the length of the pendulum, how much force is applied to the push, and how heavy the pendulum is. By experimenting with physics, kids can make their very own pendulum salt art and learn a little more about the science of pendulums. This science activity will appeal to your young scientists and artists alike. 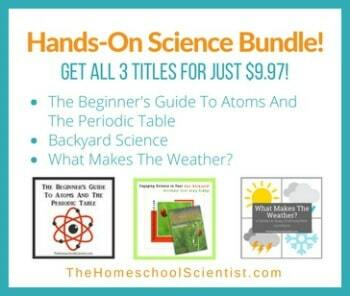 This fun science activity uses just a few simple items you may already have at home. A pendulum is something that is hung from a fixed point that swings back and forth thanks to gravity. A swing is an example of a pendulum. The time that it takes a pendulum to swing back to where it started is called the “period of the pendulum.” The length of the pendulum and the force applied to the push determines how long this period actually is. When you make your own salt pendulum, changing the period of the pendulum and experimenting with how long the string is will determine what patterns of salt fall onto the paper below the pendulum. It’s quite fascinating to see the patterns that a pendulum makes when they are outlined with salt. Color a cup of salt with food coloring. We used three cups of salt and three colors. The brighter the color, the bolder your salt art will look when you are done. Punch four holes in the top of the cup evenly spaced from each other. If you are using a funnel, you can use a drill or nails to make the holes. Tie a string to each of the holes, and then knot the four strings together in the center of the cup. Poke a small hole in the bottom of the cup. Tie a longer string to the clump of four strings on the cup. You can make it long enough to attach to a hanging object in your yard (like a swing or hanging pot rack), or you can just make it long enough to dangle from your kids’ hands. Lay your poster paper on a flat surface, like your driveway. Have your child hold their finger over the bottom of the hole in the cup while you add the sand. Show the kids how to get the pendulum movement going, then have them release their fingers. The salt will slowly pour out of the pendulum in a circular pattern. Keep adding salt and changing the swing pattern to make beautiful sand art in your driveway! It’s just amazing! I would definitely teach this to my children and it would be fun doing this science experiment. Thank you for sharing such wonderful blog.